A suspected member of a car-snatching syndicate was shot dead in Ogun State by the operatives of the Federal Special Anti-Robbery Squad, while the gang was escaping with a snatched Lexus RX 350 Jeep. The police report indicated that the robbery gang operated in Abeokuta and snatched the said vehicle at gunpoint around Oke-Ilewo area of the metropolis on Thursday. The Spokesperson for the police in the state, Mr. Abimbola Oyeyemi, said immediately after the hoodlums snatched the vehicle, a distress call was made to the police and the state Commissioner of Police, Ahmed Iliyasu, gave marching order to the FSARS commander, Uba Adam, to go after them. He said in compliance with the CP’s directive, the FSARS teams manning various exit points in the state were alerted to be on look out for the snatched vehicle and the suspects. Oyeyemi said luck, however, ran out of the gang when the FSARS team stationed along the Sango-Ota area sighted the stolen vehicle and gave its occupants a hot chase. He said, “Having realised that the game is up, the robbers in a bid to escape, opened fire on the policemen and the officers returned fire for fire. He said one AK49 assault rifle loaded with 13 rounds of live ammunition was recovered from the hoodlums. He added that the snatched jeep with number plate LSD 456 EX was also recovered. 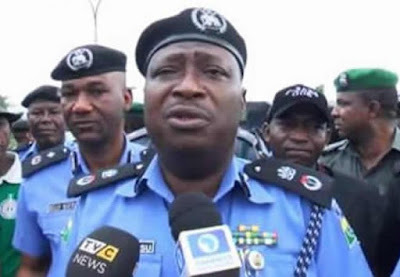 Meanwhile, the Commissioner of Police, who expressed his satisfaction with the performance of his men, ordered a manhunt for the fleeing members of the gang.